Dealextreme offers a cheap Bluetooth module that can be used to add bluetooth to an Arduino/Atmel project. Connecting it is really simple as you can see in the below circuit. Connecting the Tx line directly to the Rx line of the UART is no problem, but for the Tx line coming from the UART you need a voltage adapter that is formed by the 5k6 and 10k resistors. 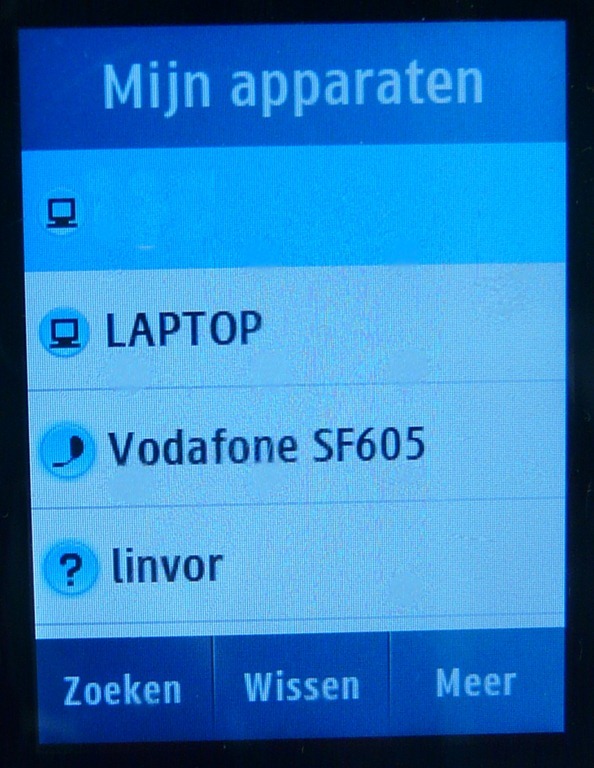 In order to get the Bluetooth model to work properly, it needs a reset signal that is taken from the Vcc. Pins that are not used should be left not connected. Though the module has 34 pins, you only really need to connect 8 pins to establish communication and 4 of those are connections to ground. At first glance, soldering to the module may seem a bit daunting as it is real tiny. I decided to solder some small stiff wires to the cups that form the pins and stick these through some stripboard, raising the module a bit off of the stripboard. Another solution is to solder the module directly to the copperside of a PCB, but that needs some accurate etching. Just to make clear: Pin 3 and 4 don’t need to be connected to anything, but it might be handy to attach them to a 2 pin header that can be shorted in case that is needed. First establish if it actually works: after putting the circuit together, apply voltage supply and start up a bluetooth device such as a computer or a mobile phone and see if they can find it. It should come up as ‘linvor’ and asks for a pincode which is ‘1234’. If you check the ‘services’ of the device it will report itself as a serial interface. The LED in the circuit is ON when there is a connection and it ‘blinks’ when there isn’t. 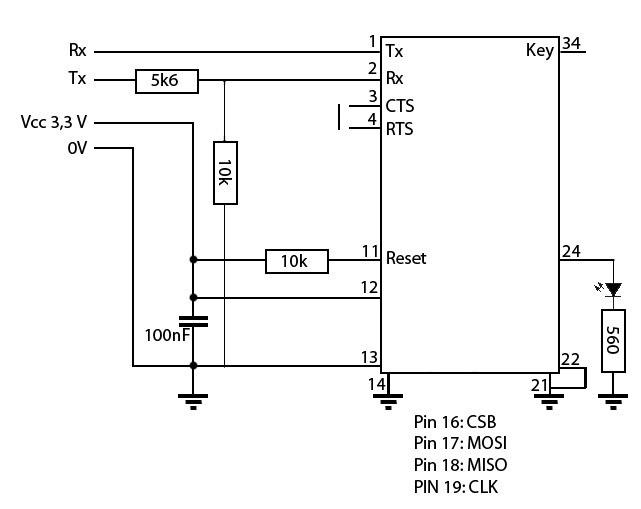 Connect the Rx and Tx of this circuit, establish a bluetooth connection through yr computer, use the Arduino IDE (select ‘no line ending) to send characters to the proper COM port and see if they get echoed. If any of these 3 work you are set to go. Though many of these models may look exactly the same (and in fact could be the same), they still may have different firmware. The Dealextreme module has linvor 1.5 firmware, als known as HC6. Other models may have HC5 firmware. The module will ALWAYS enter in AT mode with a 38400 baud rate (8N1). The second way is useful if you don’t remember your configured baud rate. AT mode can be reached only when PIN34 is high. Moreover sending AT commands is different from the HC06 firmware (Linvor). In HC05 firmware you have to send CR and LF after each command. Further information can be found in this documentation.